There is an area of Port Richmond that is basically a little slice of Poland. 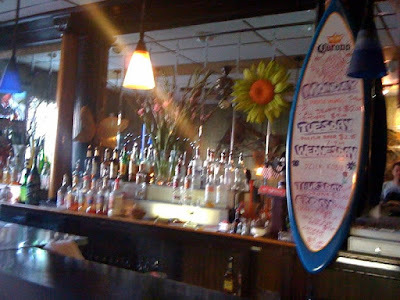 In the center of this mini world, is a restaurant/bar called New Wave Cafe. Not to be mistaken with The New Wave, which is a bar in Queen Village. So although I have been to the New Wave Cafe a couple of times, I had never eaten a full meal there. I merely tasted other peoples food and vowed that I would make it up there at some point to try some of the Polish delights offered. Well I finally had the opportunity to head up and so I did. The Cafe is a strange place. I have been there at night intending to eat, yet the kitchen was closed because it really is a disco as well. A full on laser light show and an Eastern European fashion show ensued. But I digress. The inside is about what you would expect. A bit drab, but it is endearing because half of the signage is in Polish, and they have a great selection of Polish beers (try the Zywiec). 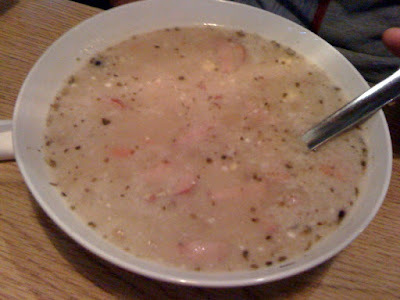 The pickle soup (yes, pickle soup) was one of the items I had tried before, but I wanted to try a full bowl. 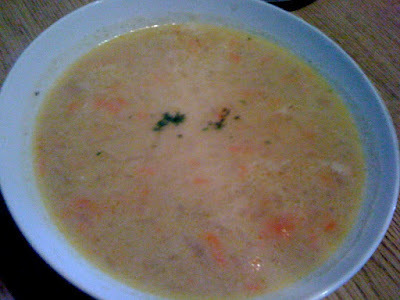 They use a warm thin broth, I believe it is chicken based, with chopped pickles, potatoes, and shredded carrots. 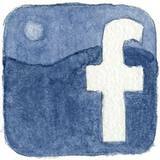 It is quite good. The real star of the soups, however was the white borscht. I have never had the white version only the traditional beet based soup. I absolutely loved this soup. This soup had a base of sausage water which made the broth oily, comforting and delicious (I believe there was also sour cream in there). 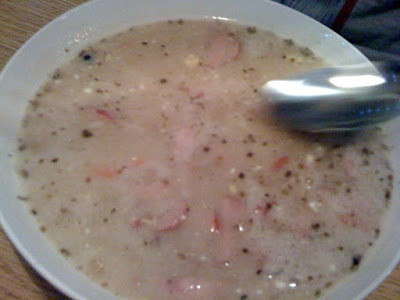 In the soup was thin sliced kielbasa (so good), sliced hard boiled eggs, and some onion, as well as a hint of vinegar. I could eat this soup all the time, and will be making my own version in the near future. This was the high point of the meal. 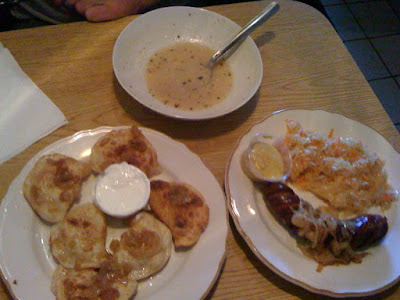 No Polish meal is complete without pierogies and kielbasa. I partook in both. 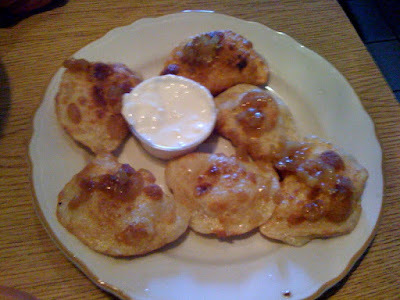 The potato and cheese pierogies, unfortunately, were not great. They offered fried or steamed, so I obviously went with fried, but they were not the well done, crispy pouches I love so much. The outside was pretty oily and the stuffing really didn't have much flavor. They were edible, but forgettable. The kielbasa, on the other hand, was really crispy. It WAS fried hard. It had a good smokey flavor, and the mustard on the side was a great accompaniment. 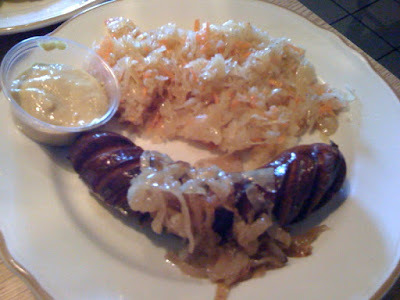 I got a side of sauerkraut, which was cooked in apple cider vinegar, I believe. It was pretty tasty. 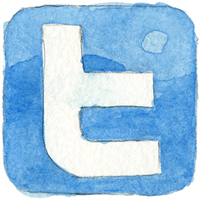 Overall, I liked the food, and I will certainly be back. The white borscht, however, stole the show. 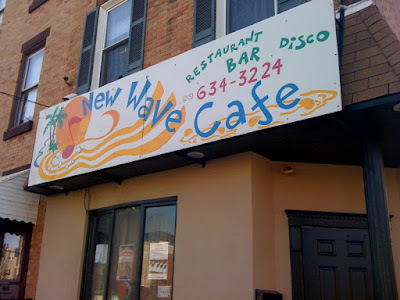 Thanks for your review, but New Wave Cafe is in PORT RICHMOND - NOT KENSINGTON!! I hear you. 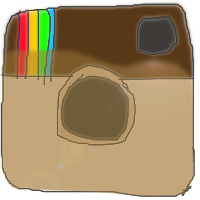 I changed it. Thanks for the heads up!